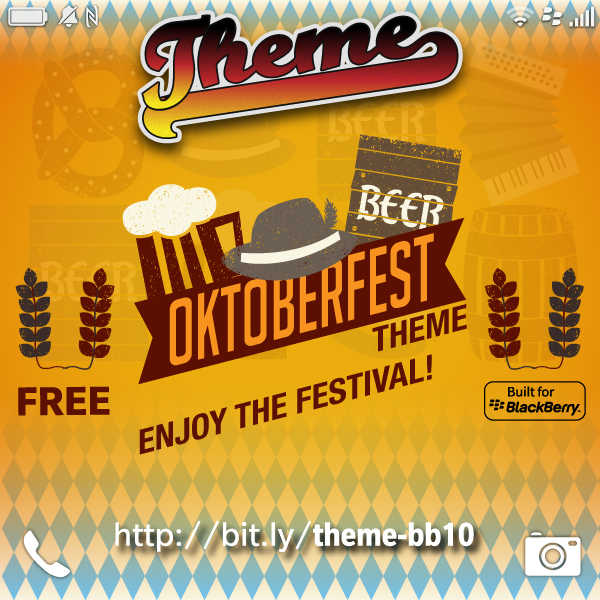 The Oktoberfest Theme is ready for your BlackBerry 10 phone. Every year the official Oktoberfest is being celebrated in Munich, Germany. Many countries all over the world celebrate their local version of the Oktoberfest and some of such are getting really close to the original. You can now be among the few people who is even prepared with their phone for the greatest, most fun and definitely most beer-consuming fairs world-wide.